Jacob Bernoulli was the oldest of the famous Bernoulli mathematicians. His younger brother Johann and his nephew Daniel all went on to become very famous and important mathematicians. Jacob was born on December 27, 1654 to a prominent and wealthy family of merchants in Basel, Switzerland. His grandfather had started a prosperous spice business in Amsterdam but then had immigrated to Switzerland when Spain began a crackdown on protestants in 1567. Jacob's father, Nicholas, was a member of the town council and a magistrate. His mother was the daughter of an important Basel banker. When the time came for Jacob to enter the university, he was strongly encouraged by his parents to study philosphy and theology. This apparently was the pathway to becoming a minister. He graduated from the University of Basel in 1676 with a licentiate in theology and a master's degree in philosophy. This same year, he moved to Geneva where he worked as a tutor. All throughout his coursework, Jacob had also been studying astronomy and mathematics. Despite his parents discouragement of these pursuits, Jacob later traveled to France to study with the followers of Descartes who were led by Nicholas Malenbranche. In 1681, Jacob traveled to the Netherlands where he met with numerous mathematicians including Johanne Hudde. After this, he traveled to England where he met with Robert Boyle, Robert Hooke, and many others. In these travels, Bernoulli made numerous contacts and developed an extensive correspondence with many of the most influential mathematicians and scientists of his day. He would be offered a position with the church in Switzerland, to the great joy of his parents, but he turned it down. He returned to the University of Basel in 1683 to teach courses in mathematics and theoretical physics. Bernoulli became fascinated with infinitesimal geometry as well as the works of Franz van Schooten, John Wallis, Isaac Barrow, and of course, the Geometrie by Rene Descartes. Jacob published many of his ideas in the math journal Acta Eruditorium which was founded in Leipzig in 1682. Around this time, Jacob married Judith Stupanis and had two children. Neither of whom became interested in mathematics or physics. This is interesting considering the large number of Bernoullis who would become famous scientists. The New Dictionary of Scientific Biography, for example, lists 13 Bernoullis in its biographies. "...both made contributions to mathematics of the very greatest importance. Whether the rivalry spurred them on to greater things or whether they might have achieved more had they continued their initial collaboration, it is impossible to say." Jacob Bernoulli went on to make a very significant mark on the mathematical world. He wrote on a wide range of topics including the parallels between logic and algebra, probability, infinite series, geometry, and calculus. In his geometry, he offered a method for dividing a triangle into four equals parts with two parallel lines; in probability, he offered a mathematical interpretation of relative frequency; on infinite series, he wrote about ∑ 1/n2 which later became known as the Basel Problem (and would later be solved by Leonhard Euler) and wrote about exponential series that would later lead Euler to his creation of the constant e. In calculus, he wrote about the isochrone (a curve of constant descent that had been studied by Christiaan Huygens and Lebiniz) and showed how its path can be characterized by a first order nonlinear differential equation (this paper is also historically the first time that the term "integral" is used in the modern sense). Jacob's other contributions include his analysis of what is today known as the Bernoulli equation: y'= p(x)y + q(x)yn, a general method for determining the evolutes of a curve, did important work with parabolas, logarithmic spirals, epicycloids, what is today known as the lemniscate of Bernoulli, and the Drawbridge Problem (a problem regarding the keeping of a weight and draw bridge balanced). 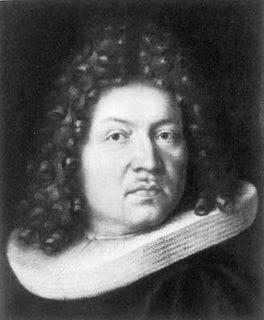 Jacob Bernoulli became the chair of mathematics and the University of Basel and held this post until his death in 1705. Eight years after his death, his greatest work Ars Conjectandi was published. It was unfinished but would have a great impact on the theory of probability and introduced the idea of what would later be called Bernoulli Numbers. Bernoulli greatly advanced algebra, the infinitesimal calculus, the calculus of variations, mechanics, the theory of series, and the theory of probability. He was self-willed, obstinate, aggressive, vindictive, beset by feelings of inferiority, and yet firmly convinced of his own abilities. With these characteristics, he necessarily had to collide with his similarly disposed brother. He nevertheless exerted the most lasting influence on the latter. Bernoulli was one of the most significant promoters of the formal methods of higher analysis. Astuteness and elegance are seldom found in his method of presentation and expression, but there is a maximum of integrity. After his death, his brother Johann became the chair of mathematics at the University of Basel.